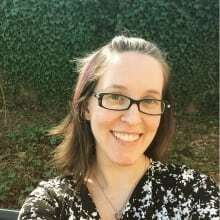 Jennifer works as an Instructional Technologist in a dual role with the College of Health and Human Services (CHHS) and the Center for Teaching and Learning (CTL). She received her M.S. in Computer Science from UNC Charlotte and also completed Graduate Certificates in Databases and Health Informatics. Jennifer teaches as an adjunct faculty for the College of Computing and Informatics. She has held multiple roles at the University over the last 10+ years which help her understand different perspectives across campus. Jennifer is very passionate about education and enjoys helping others learn new technologies and how to use them to enhance work life.